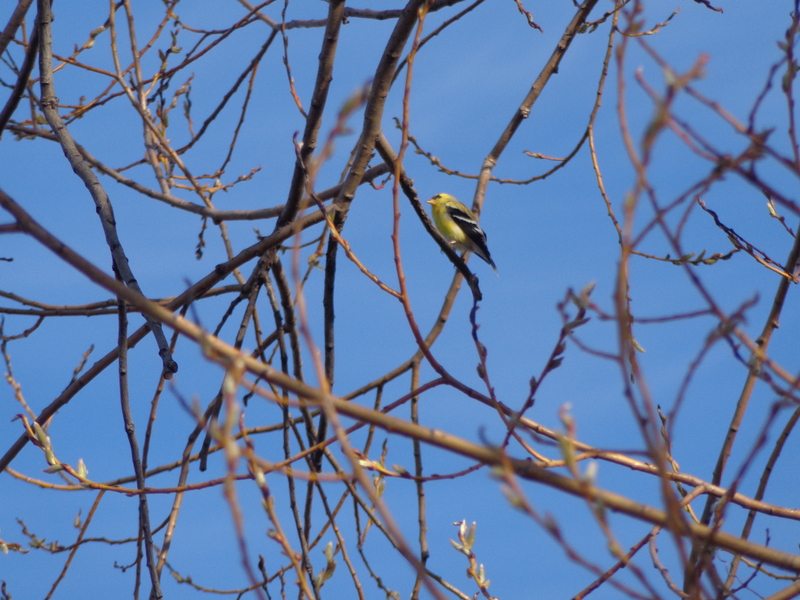 Soft-focus glamor shot of the first goldfinch of the year—at least that I can remember. 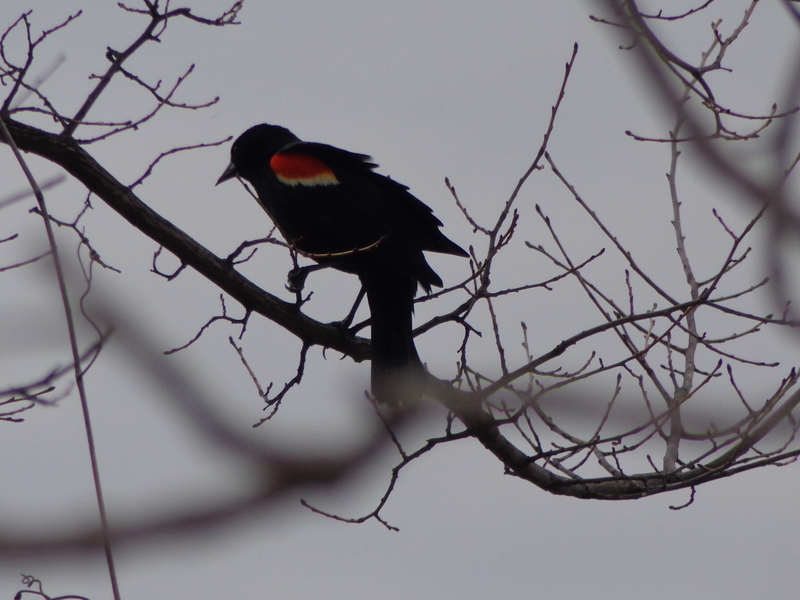 I might like this angle better because you can see the texture of the feathers. 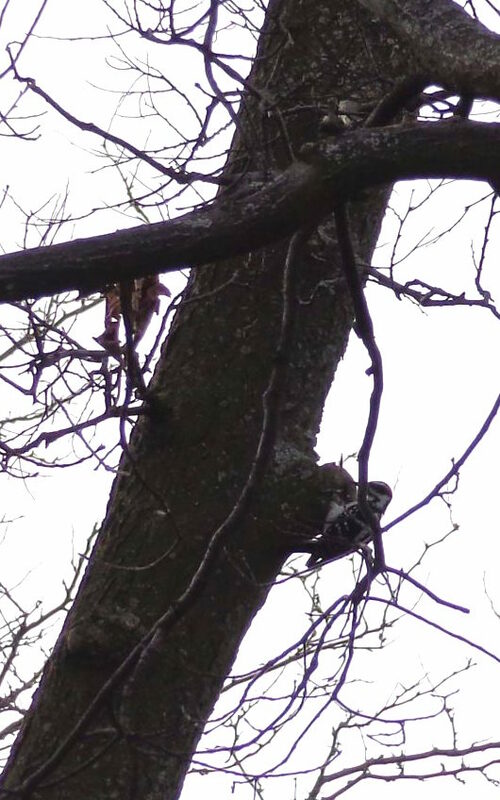 Woodpecker! Every time I got any closer, it flew further away. 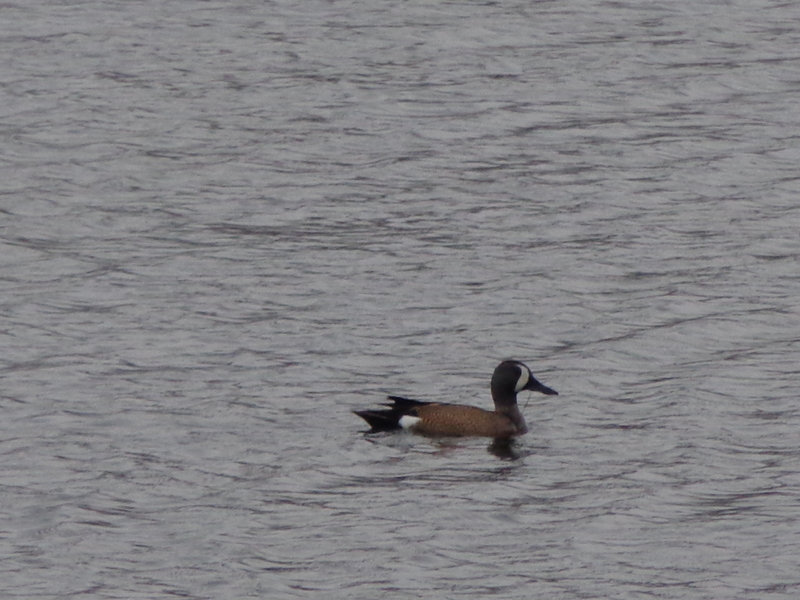 I was super excited to see this blue-winged teal. Cant remember the last time I saw one. 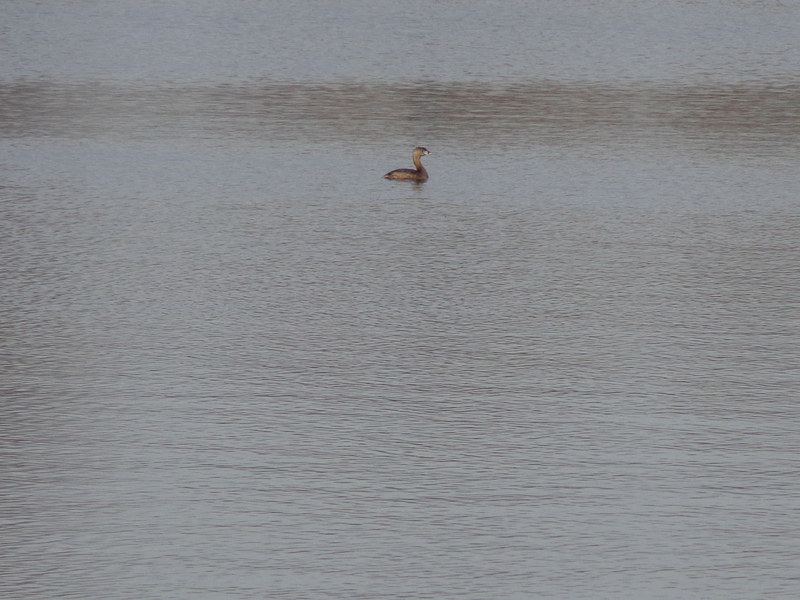 I saw the blue-winged teal again today. 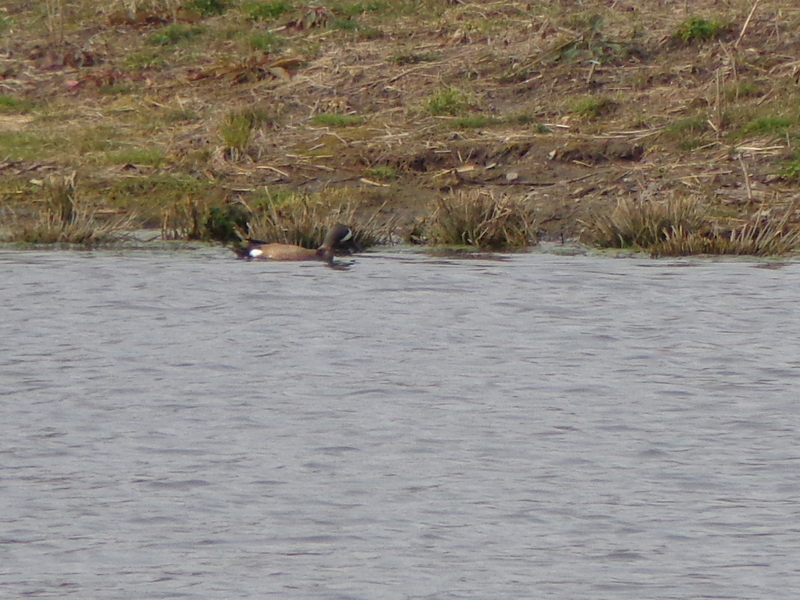 It was in the middle of the pond instead of the opposite side, so theoretically I should have been able to get a better picture. Alas, it was cloudy, so no such luck. 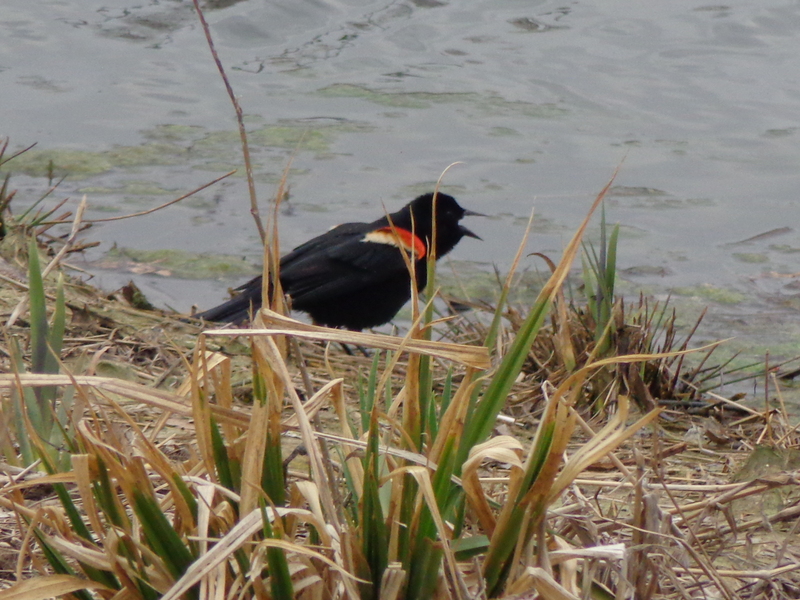 Redwinged blackbird lets everyone know who’s boss. 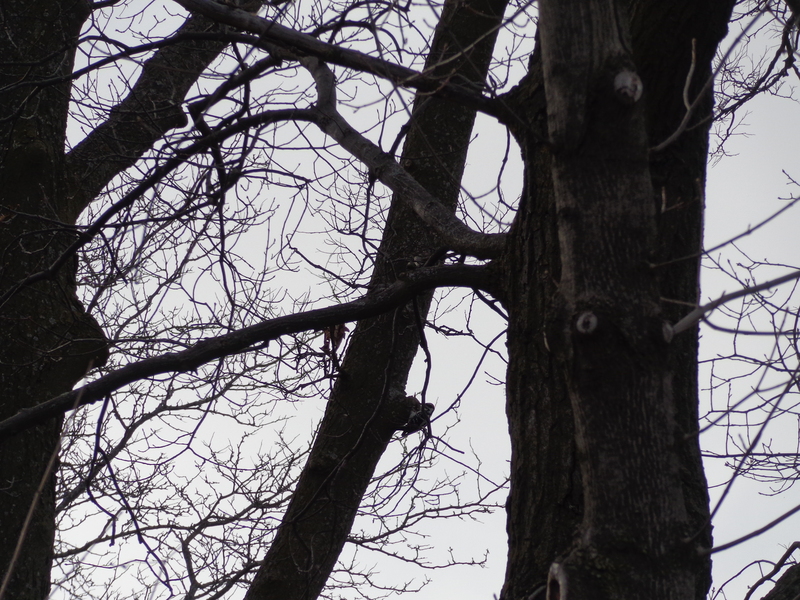 I think he got tired of me hanging around, so he flew up into a tree.